In addition to complete courses, Financial Literacy 101 offers a financial education library with hundreds of articles, assessments, calculators, and videos. This Week @ Financial Literacy 101 offers daily articles on a new financial topic each week that are also suitable for faculty and staff. A partial listing of Financial Literacy 101 resources are listed below. And don't forget, with Financial Literacy 101 it's also easy to add your own content as well. Jump to Financial Aid: Paying for College for sample content. One of the best ways to achieve financial health is to effectively manage your daily, weekly, and monthly spending decisions. Creating a budget is a great first step, but a budget is just a plan. You then need to track your actual spending behavior. When your actual spending matches your plan, you will be in great shape for realizing your financial goals. A simply way to get the most from your monthly budget. Looking for ideas for ways to save money now? Almost everyone can find a way to save using at least one of these tips. It’s wonderful to have the freedom to buy so many products, but unless you’re rich, the key to happy spending is planned spending. Understanding the benefits of IDAs, how to qualify, and where to find a program. A positive cash flow is a key indicator of your financial health. After you've identified your income and tracked your spending, it's time to compare the numbers, gain perspective, set priorities, and make changes. A big part of budgeting is identifying income and listing expenses. Buying a car can be an exciting experience, but it can also involve some complicated financial decisions. Should you buy new or used, pay in full or finance, or even consider leasing? And to make matters even more complicated, the price you pay for your car is often determined by negotiation, making it hard to tell whether or not you are getting a fair deal. This material will guide you though the entire process - from choosing the best model to avoiding unnecessary surprises (and costs) at closing. An introduction to the basics of this major purchase and responsibility. A look at four important factors to consider when choosing a car: fuel consumption, insurance rates, reliability, and depreciation. 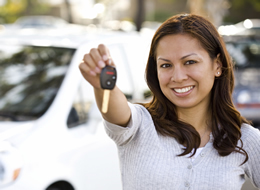 Understanding the many costs associated with owning a car - from financing cost to taxes. The pros and cons of leasing. How a loan affects the total cost of buying a car. How to "do your homework" before buying a used car. Effective negotiation could potentially save you thousands on your next car purchase. How to set a realistic target price for both new and used vehicles. Know what to expect when negotiating the best deal. Think the negotiating is finished when you agree on a price? Here's how to negotiate dealer extras and extended warranty pitches. Twelve common mistakes to keep in mind when shopping for a car. 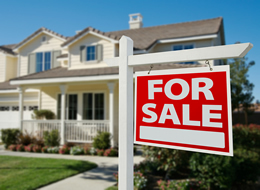 Owning your own home can make a lot of financial sense - if you are fully prepared for it. For many, home ownership is a sign of personal and financial success. But there are risks as well as rewards associated with home ownership, and home ownership is not appropriate for everyone. In this section, we'll take a look at some of the issues involved in making a purchase decision, explore some ways of financing a home purchase, and consider situations in which renting is actually the best financial decision. Some pros and cons of buying a home, including a comparison with renting. The parts of a mortgage and common mortgage loan options. Factors to consider when making an informed "buy" or "rent" decision. Before you buy a home, determine how much consumer debt is reasonable for you and what upfront costs you will have for your home purchase. Having the right people on your side can help you make the best possible buying decisions. Many people who are in financial trouble may not realize it or may even think their situation is normal. Almost everyone experiences financial stress at some point, but out of control debts can have serious financial, social, and psychological consequences. To make matters worse, penalty fees, increased interest rates, and high-fee "alternate" financial services can make it difficult to get out of a bad situation. In this section, we'll look at some of the reasons why people find themselves in financial trouble, review some of the warning signs, and explore options for getting back on track - including how to find extra help from consumer counseling services. Spotting the warning signs of excessive debt. One of the first steps in getting out of debt is to analyze calculate your debt-to-income ratio. If you ever find yourself experiencing financial trouble, there are steps you can take to get back on track and to minimize the damage to your credit. Whether you do it yourself or work with a credit counselor, creating a debt reduction plan is an important first step for those with financial trouble. Regardless of how you got into debt or how severe your debt problems are, these seven steps can help you find your way out. Consolidation and refinancing are tools that may help to reduce your debt. The role of credit counseling organizations and how a debt management plan works to restore credit over time. When it comes to building your plan for repaying debt, it's important to have a plan of attack. The best way to find a good credit counselor is knowing what questions to ask. Here's a comprehensive list. How to spot a credit repair scam. Understanding legal and illegal debt collection practices and how to report companies that ignore the law. What to do if you are sued over debt. The types of bankruptcy and why it should be used only as a last resort. There are no quick fixes when it comes to removing negative items from your credit report or raising your credit score. Only consistent efforts and payments on your debts will improve your credit. A college degree maximizes your chances of being successful. For many families, financial aid is an indispensable part of the equation. Financial aid involves much more than loans alone. Scholarships, work-study jobs, and service options such as AmeriCorps are all tools that help millions of individuals reach their educational goals. But how do you determine the best path for you? Here we'll debunk some common financial aid myths, explore the basics of financial aid, and take you step-by-step through the financial aid process. 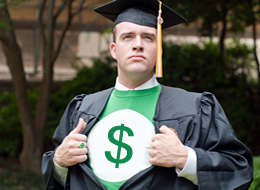 Why college may be a great investment, even though it has an increasingly high cost. Questions every student should be able to answer before taking on a student loan. When federal loans are not enough, private lenders such as banks, credit unions, and non-profit lenders can help to fill the gap. An introduction to the agreement that specifies your rights and responsibilities when accepting a student loan. Common repayment plans are outlined, as well as instructions for finding your loans and the consequences of non-payment. Why some students find themselves with too little aid and what can be done to make ends meet. There are more options than ever for repaying federal student loans. Learn how to choose the best option for you. Student loans are often the first significant debt incurred by people today. Managed appropriately, they offer flexible repayment plans for just about any income level. But the penalties for non-payment can be lasting and serious. In this section, we explore repayment strategies, cover repayment options, and review common repayment scenarios - including what to do in the event of financial trouble. Flexible federal student loan repayment plans can help you avoid financial trouble and reach your financial goals. Your repayment plan choice can greatly affect your monthly payment and the total cost of your student debt. 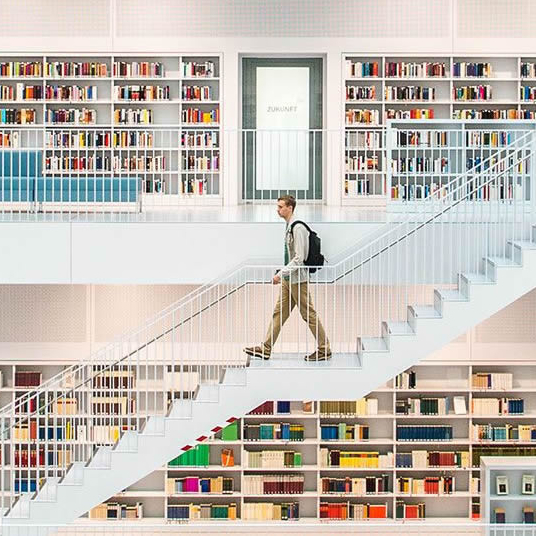 To repay your student loans, you need a comprehensive strategy to put your education debt in a larger financial picture that includes your income, non-education debt, and long-term goals. 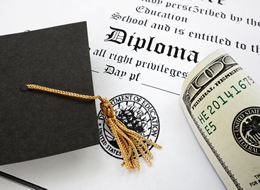 Federal education loans all offer a grace or deferment period – a set amount of time during which repayment is not required. How you manage loans during your grace period can make a big difference. Of all federal student loan repayment options, the Standard Repayment Plan is the quickest way to repay your loans at the lowest possible total cost. After the Standard Repayment Plan, the Graduated Repayment Plan is the next least expensive way to repay your federal loan and offers lower payments for the first four years. The Extended Repayment Plan spreads student loan payments over up to 25 years for those with federal student loan balances over $30,000. This plan offers borrowers of qualifying loans a flexible payment schedule based on yearly income. A financial hardship is required. Exclusively for Direct Loans, this plan offers borrowers of qualifying loans a flexible payment schedule based on yearly income. A financial hardship is required. The Income-Contingent Repayment Plan can be a good way to work out a manageable monthly payment if you have high debt compared with your income. The Income-Sensitive Repayment Plan helps Federal Family Education Loan Program borrowers keep up with payments even if their income is low. 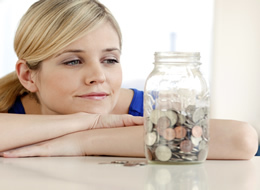 Both deferment and forbearance can help you avoid financial trouble. 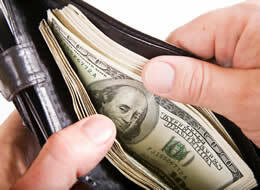 If you think you might qualify, reach out to your loan servicer as soon as you first experience financial difficulty. Loan consolidation can simplify the loan repayment process, but you must review the loans you plan to consolidate carefully – once consolidated, there’s no going back. If you work in certain fields or for certain employers, a portion of your Direct Student Loan debt may be eligible for forgiveness. The Teacher Loan Forgiveness Program offers financial incentives intended to encourage individuals to enter the teaching profession. Perkins Loans are administered differently than other student loans and include expanded cancellation or discharge options. Your loan servicer is your primary point of contact when you’re repaying your federal student loans. The National Student Loan Data System, commonly referred to as NSLDS, stores your federal loan information. “Delinquent” and “Default” are similar words. Both refer to late payments, but the consequences of each are very different. Your loan servicer’s job is to help you repay your education loans, but even experienced servicers sometimes make mistakes. Loans are your right and your responsibility so you must address issues as they arise. There are limited circumstances in which a borrower can be released from his or her obligation to repay student loan debt. You can’t always prevent financial stress, but how well you manage it will make all the difference in how successful you’ll be in meeting your repayment obligation. The consequences of defaulting on federal student loans can be severe, which is why you should take advantage of the options there are to help you avoid it. But, should you end up in default, there are steps you can take to regain lost benefits. Good financial health offers both short and long-term benefits. What does it mean to be financially healthy? A lot depends on you - students living off of student loans may want to minimize spending to reduce student loan debt. Those in the workforce may want to set certain savings or debt reduction goals. Either way, understanding exactly where your money goes on a daily, weekly, and monthly basis is a great first step. No matter what your financial situation may be now, this material can help you set financial priorities, understand your spending, and even help you find money-saving opportunities. While each of us may have different financial values, we all make decisions based on them. The concept of financial health, including smart decision-making. Financial decisions almost always involve a trade off - getting something now usually means giving up something else. Setting financial goals offers the chance to step back from everyday pressures, allowing us to think about how we’d like to be rather than as how we are. No matter what your financial goal, it's important to have an accountability system in place. Fresh from the financial aid office - what you can do today. From setting a monthly spending plan to saving for retirement, financial planning doesn't have to be complicated. We all have unique financial goals. For some, minimizing debt while in school is a top priority. Others may want to save for a comfortable retirement. Still others may just want to strike it rich (nice work if you can get it). Either way, financial planning is the process of making sure we're taking concrete steps towards reaching those goals, even as our income, employment, and family situations change. In this section, we'll explore some the financial planning process and take a look at some of the tools you can use to turn your plans into reality. Learning the how and why of short, medium, and long-term financial planning. A will is the cornerstone of the legal framework of an estate plan, and everyone should have one. Everyone faces the possibility of temporary or permanent incapacitation. Make sure your wishes are followed. Wills, trusts, and other end of life issues. How to make sure your wishes are followed in a medical crisis. A look at some of the financial considerations of getting married. Planning for unexpected events, including accidents, death, and even the possibility of divorce, are all part of a responsible marriage. Nobody gets married planning to get divorced. But sometimes, wedded bliss does not work out. Whether you’re contemplating a divorce or have already started the process, here are some financial implications to know before you make it official. Part of the divorce process is reviewing all accounts, insurance policies and the like and determine what’s yours and what’s your spouses’. If you get divorced, every aspect of your life can be affected including your finances. There are a number of actions you should not overlook. There are dozens or even hundreds of financial services providers in your area. Learn how to find the best deal. Banks and credit unions can be important partners in helping you reach your financial goals. But account choices that aren't matched to your needs can result in excessive fees and even damage to your credit report. Even if you've had a financial services relationship for years, this material will help you identify strategies for minimizing fees, backing up important financial information, and understanding the pros and cons of optional services. Types of financial services accounts. Not all financial services companies provide equal value. Account management strategies for checking and savings. 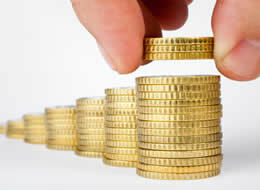 Checking and savings accounts strategies for minimizing fees. You are ultimately responsible when it comes to keeping track and managing your checking account. Suggestions for avoiding or minimizing financial service fees. 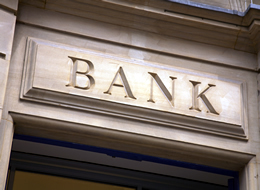 The benefits and potential risks of overdraft protection. Understanding why payday loans, check cashing services, and similar services are bad deals for consumers. The financial realities of caring for a baby can be daunting, but the major risks can be managed with simple planning. In this section, we'll review short and long-term steps you can take to give your child the best possible financial future. From getting off to a great start by auditing your pre-baby spending to making sure your health insurance covers everything you'll need, we'll explore just about everything you'll need to know to make informed financial decisions. Having a baby is not just a family decision, it's a financial decision too. How to get your finances in shape before a baby arrives, including a budget review, paying down debt, making sure you're getting the best on any long-term debt, and creating an emergency fund. The non-childcare costs you can expect when having a baby, from cribs to health insurance. An overview of different childcare choices and the financial implications of each. 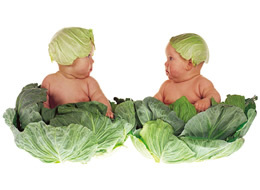 A review of the tax benefits that can help you manage the expenses incurred with children. Life is filled with unexpected events. 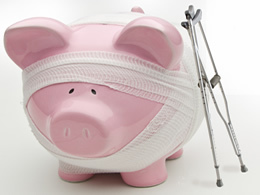 Learn how to ensure the financial security of your child in the worst case scenario. A look at the additional costs of raising a child beyond the first few years including the indirect costs. Identity theft costs Americans billions of dollars per year, but there are steps you can take to minimize the chance of it happening to you. Did you know that there are many kinds of identity theft? In fact, some forms can remain hidden for months or even years - doing damage that can can be tough to undo entirely. In this section, we'll review what exactly identity theft is, how to protect your identity, and what to do if you become a victim. Understanding ID theft and how to prevent it. 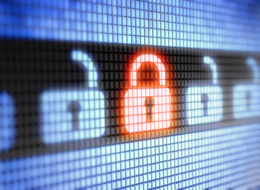 The three Ds of identity protection: Deter, Detect and Defend. Understanding the different types of identity theft and what to do in each scenario. There are many data backup solutions available designed to protect personal information that vary in their security and ease of use. 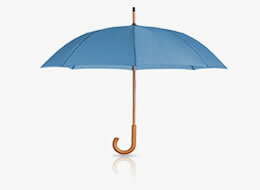 Insurance is an important tool for managing financial risk, even for those with few assets. Most of us don't think about it often, but life is filled with uncertainty. In fact, life can seem downright predictable - until something unpredictable happens. From covering medical bills related to a serious illness to paying for car repairs in the event of an accident, it's not difficult to imagine how insurance can be useful for avoiding financial trouble. Unfortunately, many individuals are underinsured, meaning they are more vulnerable than they realize. In this material, we'll review common insurance options and look at some low-cost strategies for making sure your insurance truly meets your needs. Types of auto insurance, factors influencing cost, and choosing a policy that's right for your situation. Who needs life insurance, types of policies, and how to determine coverage. Understanding the benefits (and potential pitfalls) of this type of inexpensive insurance. The various health insurance choices. The benefits and costs of these often complex policies. How you manage credit can affect your life in serious ways you may have never considered. Most people accept the fact that a late credit card payment will result in a penalty fee. But the consequences of missed or late payments don't end there - they can even affect your ability to find a job or rent an apartment. In this section, you'll learn how credit reports and scores are calculated, how to get free copies of your credit reports, and how protect your hard-earned credit rating. 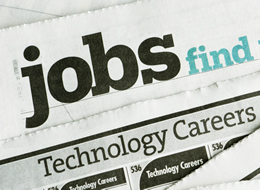 Credit reports and scores determine the rates you pay when borrowing and can affect your ability to get certain jobs. 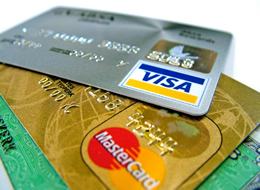 Credit and debit cards each have pros and cons. When should you use each? Special challenges for students with credit cards. A detailed description of what to expect and look for when viewing a credit report. How the new regulations work to protect card holders. Why understanding interest is crucial for comparing loans and for investing for your future. With credit cards, interest on your purchases is only part of the equation - late payment fees, annual fees, and cash advance fees could cost you money too. How lenders charge interest can have a big impact on your interest charges - and how you should manage the loan. Renting an apartment is a rite of passage for many people. Whether you're renting an apartment for the first time or you've been renting for years, it can be complicated to understand your rights and responsibilities. Further, without a mortgage and the home owner's insurance required, renters may be at increased risk for the loss of personal belongings through theft, fire, or other accident. 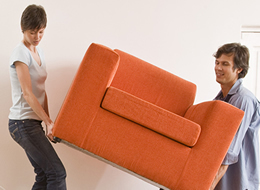 In this section, we'll explore lease agreements, how to protect your possessions, and some strategies to consider if you're moving in with roommates. Your rights and responsibilities when signing a rental agreement. Simple strategies for managing your financial relationship with roommates. Investing offers the chance of earning better returns on your money than savings accounts, but there are risks. When saving for a long-term goal, like retirement or college for your kids, many individuals choose to invest their money in stocks, bonds, or other assets. There's no guarantee than any investment will consistently earn more money than cash alone, but investing offers a unique opportunity - rather than you working for your money, your money works for you. In this section, we'll cover some common investment categories, explore investment accounts, and take a deeper look at how to save for retirement. The difference between investing and saving, and how to tell what's the best option for your needs. The pros and cons of stocks, bonds, and cash. The concept of asset allocation is explained. 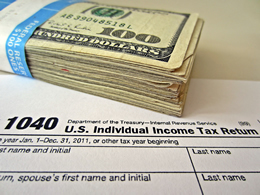 The types of accounts available to investors, including both taxable and tax advantaged accounts. Why save for retirement and the impact of fees on investment performance. 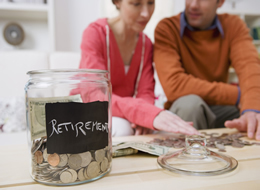 How to develop a comprehensive retirement savings strategy. A few simple things to keep in mind when starting a retirement savings plan. An overview of the major retirement accounts, include Individual Retirement Accounts, Simplified Employee Pensions, and 401(k) plans. When Benjamin Franklin wrote these words in 1789, he could scarcely have imagined the sheer number of taxes paid by Americans today. But in addition to being an expense to pay, there are many benefits that can come through our tax code - from education benefits to saving accounts for retirement. In this section, we'll look at some common taxes, how they could benefit you, and how to make sure you're paying exactly the right amount. The federal government provides a number of tax deductions and credits that can help reduce your cost of attending college. Whether you may be starting your first job or transitioning to a new one, learn key financial and social skills. From making decisions about employer benefits to understanding the how and why of professional networking, a new job offers both risks and opportunities. An overview of topics covered in our Workplace Transition material. There are four main types of employee benefit programs: health insurance, retirement plans, tax-advantaged savings, and supplemental benefits such as life and vision care insurance. No matter how much or how little you earn, your spending habits play a major role in your financial health. Student loan debt is often the first significant debt acquired by adults today. Repaying your debt responsibly helps you establish good credit and helps you qualify for the best-possible interest rates on future loans. Being a “professional” paves the way for both current and future success, no matter what career you choose. Professionalism requires you to draw upon a set of skills that may seem outside the specific skills required for your job. Employee benefits vary between employers, so it’s up to the employee to make the most of whatever benefits are offered. First impressions are important. New employees should take the time to prepare for the first day to ensure that they start off on the right foot. Strong communication skills are essential to success in the workplace, but mastering these skills takes time and practice. To be successful in today’s workplace, you need to know how to manage the limited amount of time you have to accomplish all of your tasks. Effective networking can lead to success in your career both now and in the future.